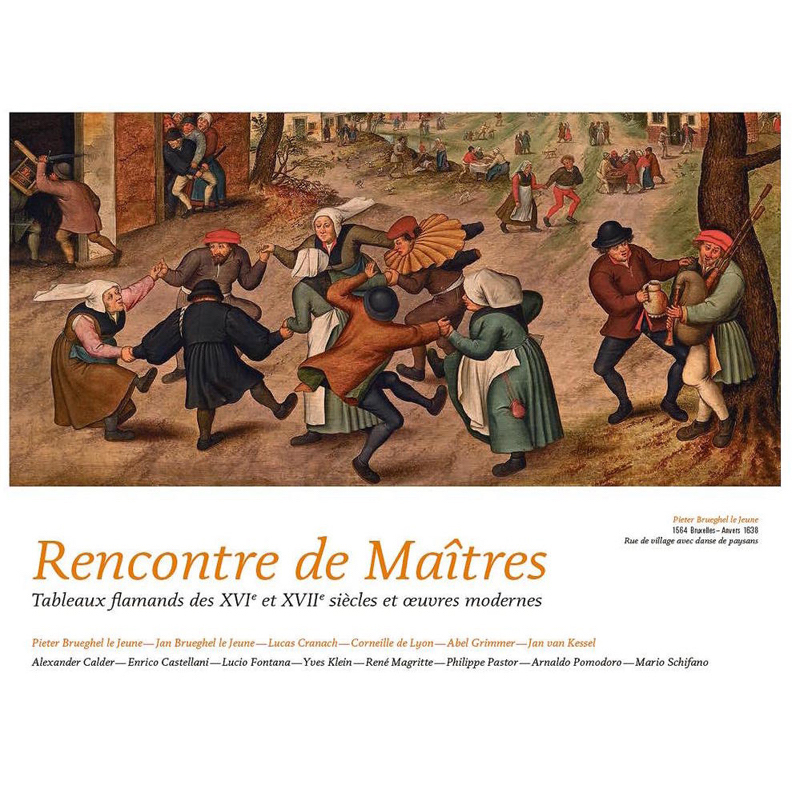 Group show featuring Flemish paintings from the 16th and 17th centuries and modern works. Lying in the heart of this exhibition are Pieter Brueghel the Younger’s festive scenes, amongst which a considerable work executed after 1626 and endorsed by his very own signature P.BREVGHEL can be found. A work synthesizing Brueghel’s most typical motifs such as dances, quarrels, bagpipe players and Brabant houses. To be added to this selection are Giuseppe Bernardino Bison’s shimmering views of Venice, Jan van Kessel’s colorful flower buds and Abraham Janssens’ Four season cycle. On the modern side, Lucio Fontana rules with his Concetti Spaziali while René Magritte astonishes through his poetry. An impressive bronze disc, courtesy of Pomodoro, sides with Schifano’s sensitive composition while being surrounded by Philippe Pastor’s works, driven by their colors and nature.